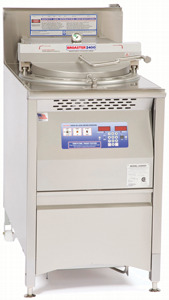 Available in gas and electric models, Broaster® Pressure Fryers are the most efficient equipment your money can buy. They're perfect for high volume operations as well as smaller operations looking for delicious products and high profits. 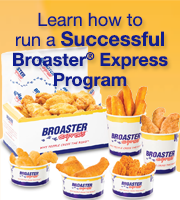 Why Pressure frying chicken and other foods can be smart business.